The dhb Women's Run Singlet is a lightweight running singlet with an unrestrictive and comfortable fit. The garment has been designed to be used for fitness and running. This dhb garment is treated with Polygiene® permanent odour control, helping to keep you fresh and odour free. Polygiene naturally inhibits the growth of odour-causing bacteria and fungi on fabrics, allowing you to wear more and wash less. Clothes can be worn several times before laundering. Polygiene will help to make your clothing last longer as bacteria and excessive washing do not break down fibers as quickly as they do on untreated material. Using components of natural silver salt made from recycled silver, Polygiene meets the highest standards for skin safety and hygiene, and is guaranteed to last for the lifetime of the product. 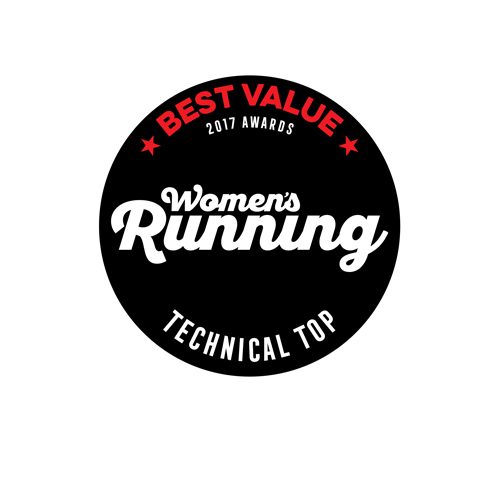 dhb Women's Run Singlet (2018) is rated 4.7 out of 5 by 39. Rated 5 out of 5 by LouN from Excellent value for money Love this top. I ordered it because at the price point I thought why not? But it’s actually a great lightweight vest. It’s a lovely shape and fit, breathable and a nice length, so it covers what it needs to and doesn’t ride up when I’m at the gym. I had the black and will probably order the other colours now as it’s a fab little addition to the workout wardrobe. Rated 5 out of 5 by Emily916 from Great top for running!! I love all of dbh’s running tops! I have 3 long sleeves, 2 short sleeves, and now this tank. It’s light-weight and not super fitted to allow for breathability. Fits great and might need to get it in a few more colors once the weather starts warming up! Rated 5 out of 5 by Bor90 from Good quality top Just what i needed, light, comfortable and great colour. Can this garment withstand a hot ironing temperature? Due to the garment being 100% polyester we would not advise a hot iron for the Singlet.